The firm of Branigan & Matthews was founded in 1933 by Mr. Mal Matthews. 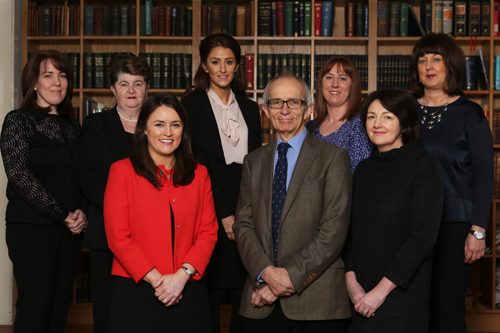 The firm quickly grew, establishing itself at the forefront of legal firms in Leinster. The firm was founded and built upon a solid reputation of integrity, trust, reliability and results. Neil and John Matthews both joined the family firm, further growing and developing the practice and building an expertise particularly in property, commercial law and litigation including personal injuries. Neil Matthews for many years was considered by colleagues the most accomplished personal injuries litigation solicitor in North Leinster, involved in many landmark cases and rulings. Kevin Byrne subsequently joined Neil and John as a partner in the firm in 1983 specialising in the areas of commercial law, property, litigation and family law. Estella Rogan joined the firm as a solicitor having formerly been a partner in the firm of Dockrell Farrell Solicitors, a top tier Dublin firm and with particular expertise in conveyancing and probate related matters including estate planning. The firm is proud to have a reputation as the firm that colleagues refer people to.